KeySecure KSE25V Extra Deep and Extra Secure 25 Hook Vehicle Key Cabinet locked with a half Euro Cylinder key lock. 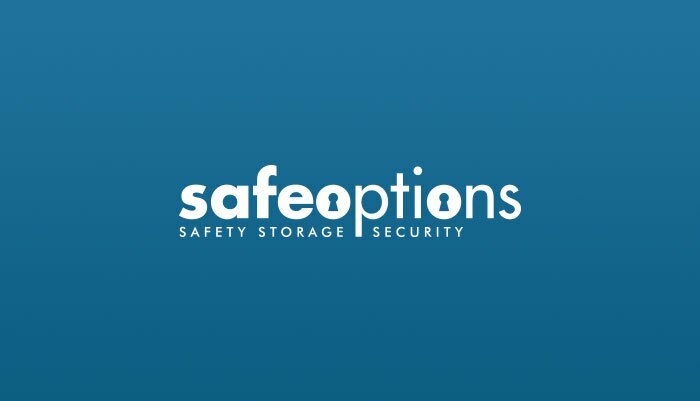 Designed to secure and store 25 bunches of keys or large vehicle transponders. 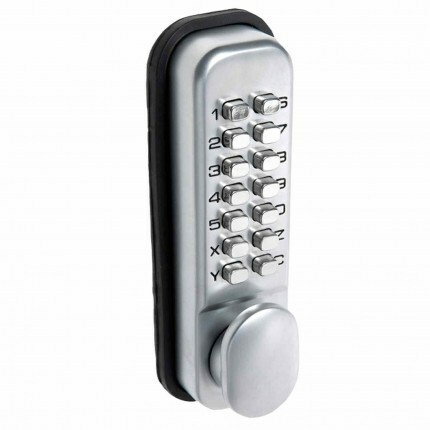 The KSE25V Security Extra Deep Key Cabinet is ready for wall mounting with space for up to 25 Bunches of keys or vehicle transponders.The Key Retain Lock at no extra charge - this ensures the key cannot be removed without locking the door. 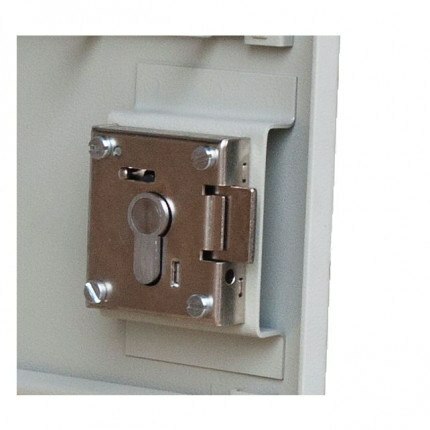 The half Euro Cylinder lock will allow the cabinet to be upgraded to be part of a Master Key System if required using your own euro profile lock serial number. 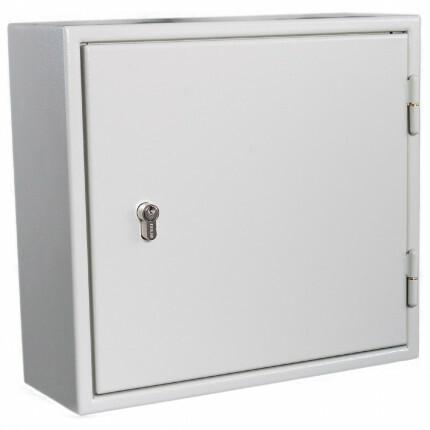 This Secure cabinet has an extra thick Steel thickness compared to cheaper cabinets - 2.5mm Body and 3mm Doors. 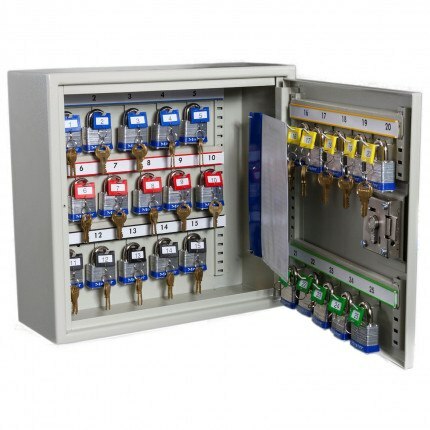 This KeySecure KSE25V Key cabinet is designed to secure and store 25 bunches of keys or large vehicle transponders. Which Key Cabinet is best for you?